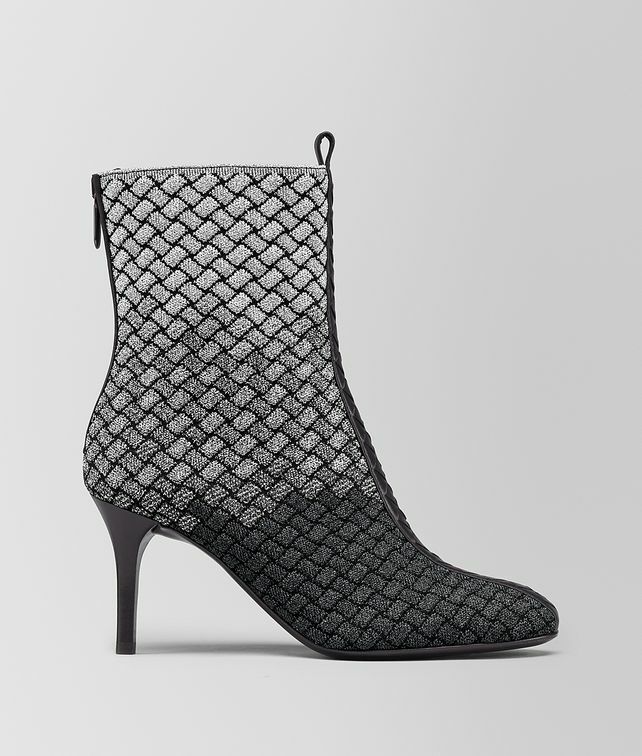 Introduced for Cruise 2019, the Teodora ankle boot is crafted from Lurex that is hand-knitted in our iconic intrecciato motif. The elegant pair is made from three different metallic shades for a unique dégradé effect that is ideal for holiday dressing. The style is accented on the front and back with a strip of nappa intrecciato. Finished with a back zip fastener.